Description: Robust decumbent perennial to c. 3.5 m tall, culms spongy, rooting from lower nodes. Ligule membranous, 1–2.5 mm long; blade base amplexicaule; blade 15–33 cm long, 12–128 mm wide, glabrous; margins scabrous, tuberculate-ciliate, hairy at base. Inflorescence a spike-like panicle 10–40 cm long, 1–2 cm wide. Spikelets solitary. Fertile spikelets 2-flowered lower floret sterile, upper fertile, dorsally compressed, acuminate, 3–4 mm long, falling entire. Glumes dissimilar, thinner than fertile lemma; lower 1–1.7 mm long, 30% spikelet length, hyaline, 3-nerved, cuspidate; upper glume 2.8–3.9 mm long, 70–80% spikelet length, 5-nerved, caudate, awned with awn 0.5 mm long. Sterile lemma similar to upper glume, 3.6–4.6 mmm long, 100% spikelet length, cartilaginous, 2-nerved, without keels, acuminate. Distribution and occurrence: Native to Central and South America - Mexico to Paraguay. A local cultivar (cv. 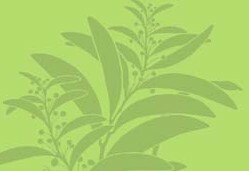 'Olive') has become naturalised and posing a threat to natural wetlands in the tropics and warm temperate areas.